• Visit our How it Works and FAQs/Tech Hints sections. As DGP continues to grow and expand, we are proud to pass along the benefits of our new partnerships. 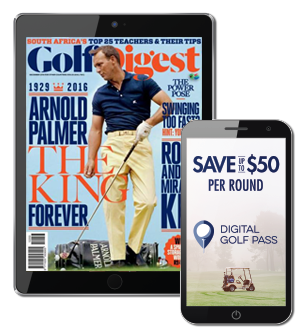 Case in point: With your new DGP membership, you will receive a fully paid 12-issue (one year) subscription to Golf Digest magazine as an added bonus. Let’s face it; golfing alone just doesn’t compare to playing with friends! 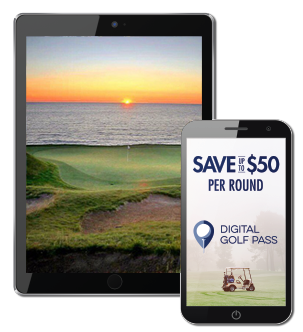 In most cases, Digital Golf Pass discounts extend to an individual member unless otherwise stated (example: 2 FOR 1 green fee deal or 4-SOME special). DGP makes it easy to receive added savings when joining with a group of 4 or more. Whether you sign up with your regular 4-some, want to give the gift of golf savings to some deserving golfers or join with 20 or more players (perfect for leagues) – DGP automatically reduces membership fees when purchased on the same transaction. In the DGP shopping cart, simply use the “Purchase for other players” section and select the appropriate quantity of additional passes. All member correspondence is emailed to the Purchaser and can be distributed at your own convenience. 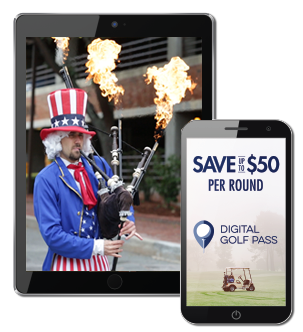 Join a single Digital Golf Pass region and “play where you live”. Enjoy savings at participating courses in and around your home. Want to take your game on the road? Upgrade your account to SuperPass and access deals at every course, in every territory served by DGP. SuperPass is perfect for the traveling golfer and typically pays for itself with just one play beyond your home area. 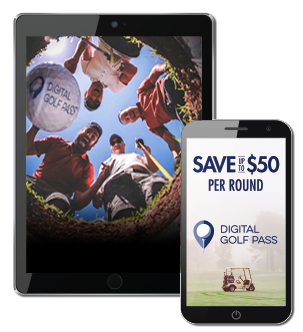 Digital Golf Pass takes discount cards and paper passbooks to a new level with deals that save you money on every round. Avid golfers can save thousands. Even casual golfers will save hundreds playing weekdays and weekends with FREE & DEEPLY Discounted Green Fees. DGP rates are GUARANTEED – where & when you want them at courses throughout your local region and beyond. No need to scramble and find an elusive on-line deal on some website. DGP is already stocked with thousands of deals ready to redeem via mobile device or print tickets. "Last year, I got my membership fee back with just 2 plays! At first my buddies didn't get it. After 5 rounds of paying more than me, they got it! They're in for 2017." "One account, all devices and nothing to download… pretty slick tech. I have nothing against discount cards or paper passbooks, but DGP is a cut above." "I’m age 76 and the youngster of our 8-some. If we can use this technology, anyone can! Thanks for the help getting DGP icons on our smartphones." "I joined early in the year and already noticed about 12-15 new courses have been added. Keep ‘em coming. We’ve got a whole lot of golf season ahead." 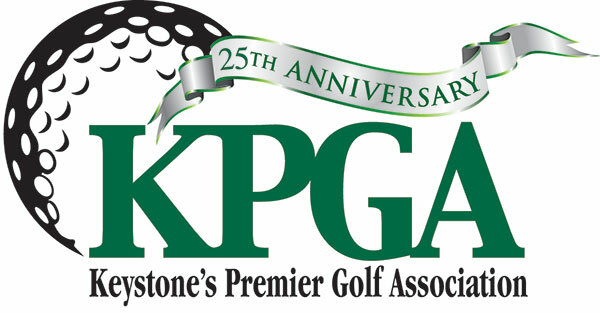 "I purchase DGP for the two golfers in my life. They get what they want; to play more golf. I get easy gift-giving and constant updates on what they save after every round." "Love the guaranteed discounts. Now we can plan in advance. Nice touch with the free PGA Tour event access in my area. I’m a customer for life." DGP offers are not available via online booking sites. Our courses create exclusive DGP deals that allow you to play their facilities at reduced rates. Play hundreds of courses for the price of the cart! Every deal is a discount on the course’s standard rate. Your DGP membership pays for itself in just 1 or 2 rounds. Traditional discount programs are static. With DGP, courses can continue to add offers all season — and deliver you a bonus offer while still on the property. "Play where you live" and enjoy savings at participating courses in your home region. Upgrade your account to SuperPass and access deals at every course, in every region served by DGP. SuperPass is perfect for the traveling golfer and typically pays for itself with just one play beyond your home territory.